The 90’s were one of the best decades ever. Especially the early 90’s. You couldn’t go anywhere without hearing some kind of euro-dance music or Jock Jams and our faithful Grapes decided to dabble into the fad a bit. 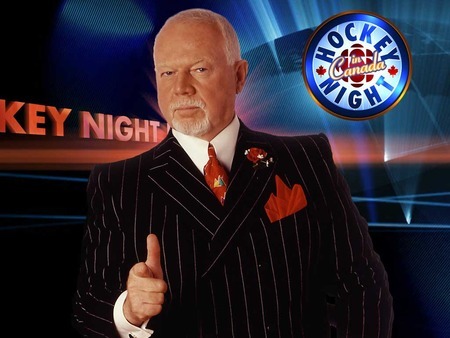 The video was apart of one of Don Cherry’s Rock ‘Em Sock ‘Em hockey tapes that he still releasing up to this every day. It usually features the best plays and hits in the season that had just past. This one featured Don Cherry attempting to rap. You’ve been warned. LET’S GO!